The Festival is world renowned for its collectible fine art that includes original oils, acrylics, watercolors, pastels, charcoal, graphite, and works of limited editions, as well as sculptures in metal, wood, and mixed media. The best artists and works of wearable art and jewelry are featured in the Fine Arts Pavilion. Throughout the years, the Festival has become known for assisting in uplifting the careers of contemporary visual artists, craft-makers and art galleries. Importantly, the fine art program continues to educate collectors and beginning collectors on art in general. Artists showcased in the pavilion are Uwa Hunwick, Woodrow Nash, Frank Frazier, Melvin King, Rondell, Stacy Brown, Nii-Oti, Sekou Ra, Dana Easter, Dimali, Isodor Howard, Karen Joy and Dayo Laoye who is the former pavilion coordinator. 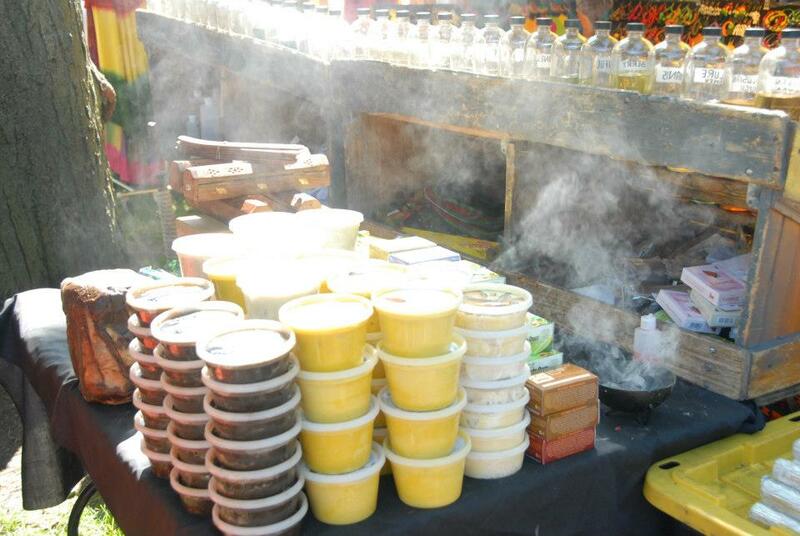 Senses come alive as mouth-watering smells lead to a food court rich in delectable and authentic African-cuisine. Experience exotic fare from the diverse cultures of Africa including Egusi from Nigeria; Wolof rice from Senegal; Jerk chicken, goat-meat and fish from the Caribbean; and other spicy, appetizing dishes from across the African Diaspora. And don’t miss out on the distinct Cajun and Soul foods from the different corners of the world.